In college, I went through a small Union Jack phase. 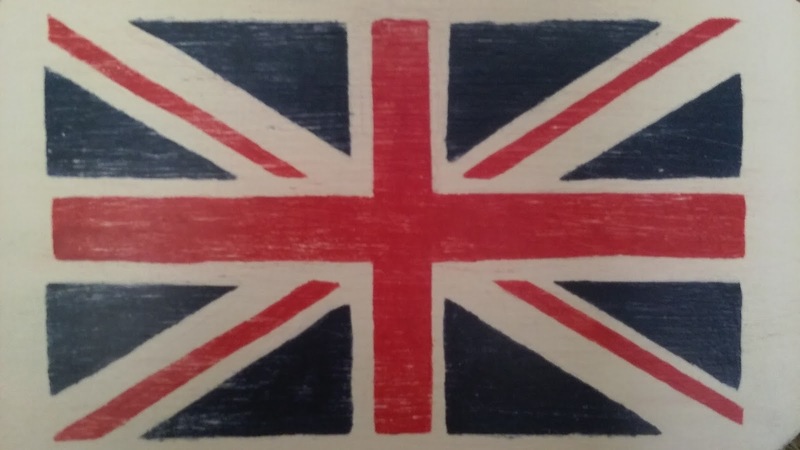 I really wanted a Union Jack wallet and tromped through three malls to find one that I liked and could afford (under $10 on my college budget). 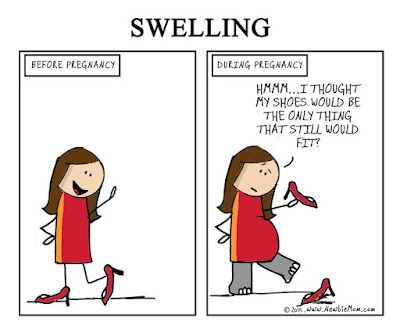 It was on my shoes, in my purse, and if I hadn't been so cheap I would have decorated with it more. 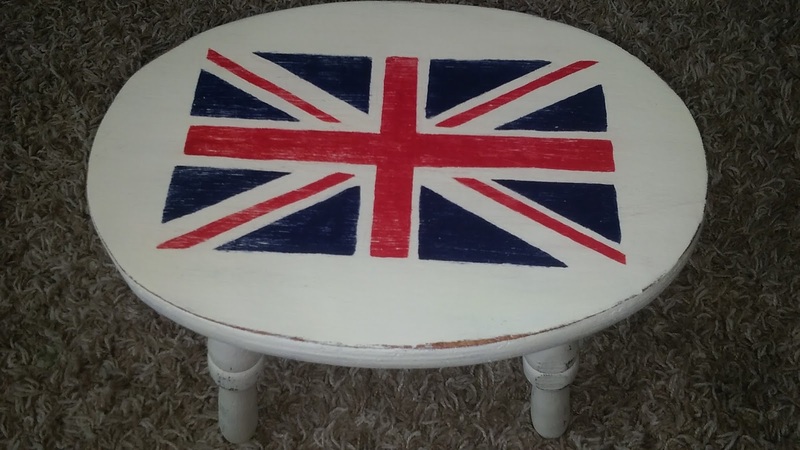 When I started flipping furniture I was dead set on painting on with a bold Union Jack. 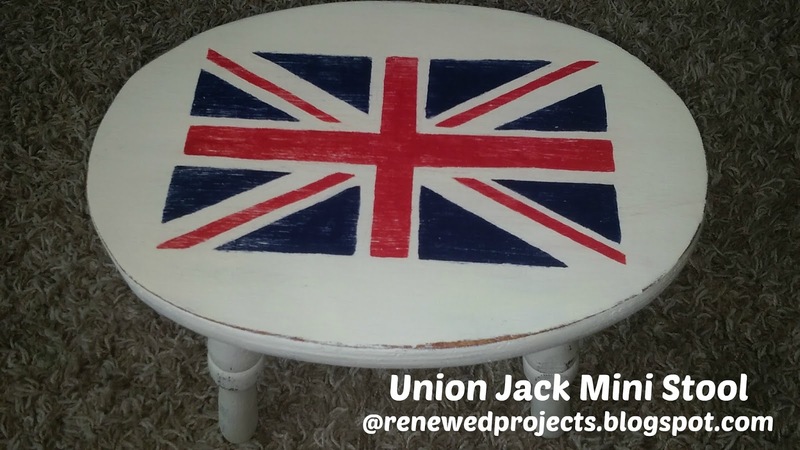 Some of my favorite ideas can be found HERE on my Union Jack Pinterest board. 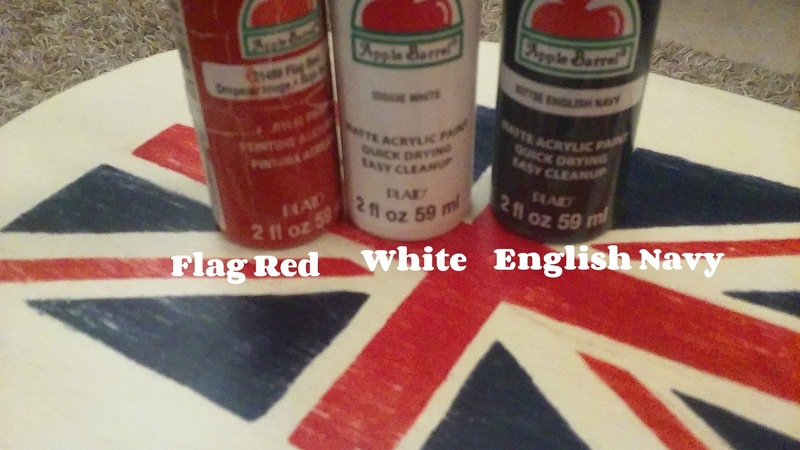 Part of 2018 will be spent on Union Jack themes. A bit of nostalgic crafting. This mini stool was a thrift store find. Unfortunately, I do not have any before photos. It was just a plain wooden brown. Dove Tails Vintage blog has a great post on how to create an accurate Union Jack. 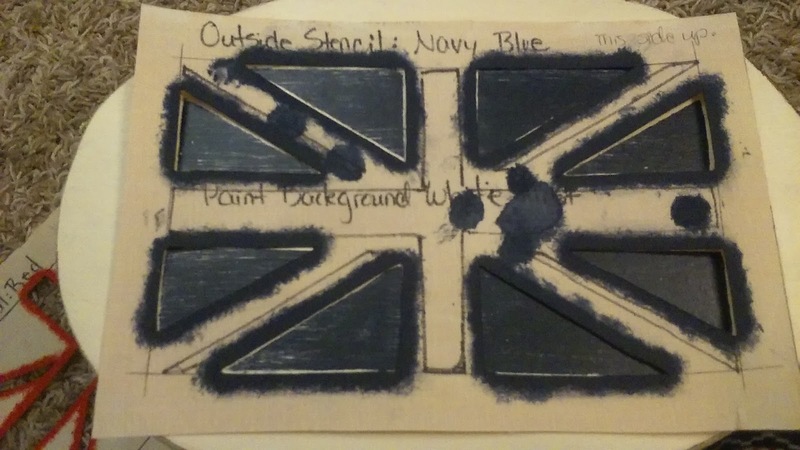 Since I plan on using this pattern often this year I thought I'd do myself a favor and make a stencil which actually turned into two stencils. I like to make my stencils out of lampshade styrene. To see how, Click Here for a short description. I think this stool is a little small for practical use, but I don't really use footstools in any size. The only footstool I LOVED was the glider stool that came with my glider rocker. 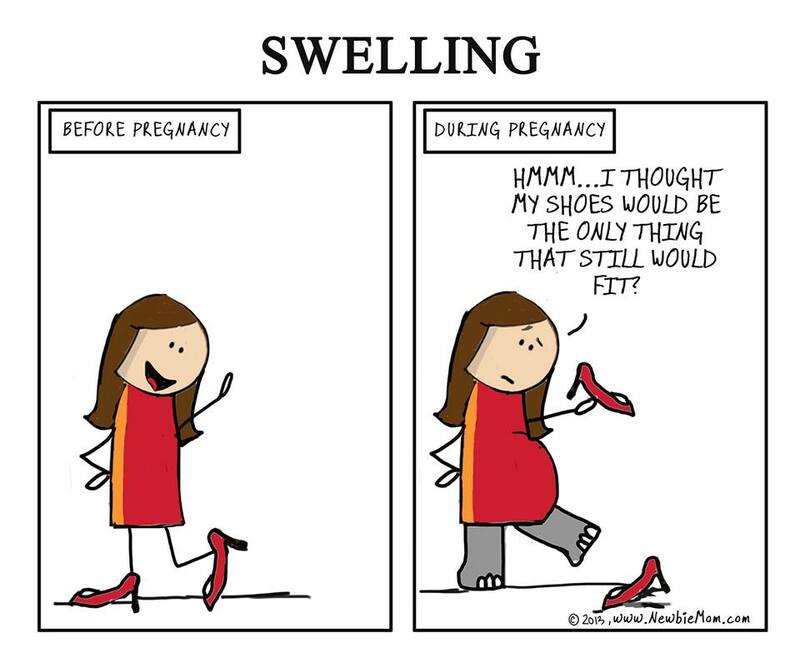 PERFECT for snuggling with my littles while resting my post-pregnancy cankles. Aside from using this as a footstool, it could also work in a vignette. 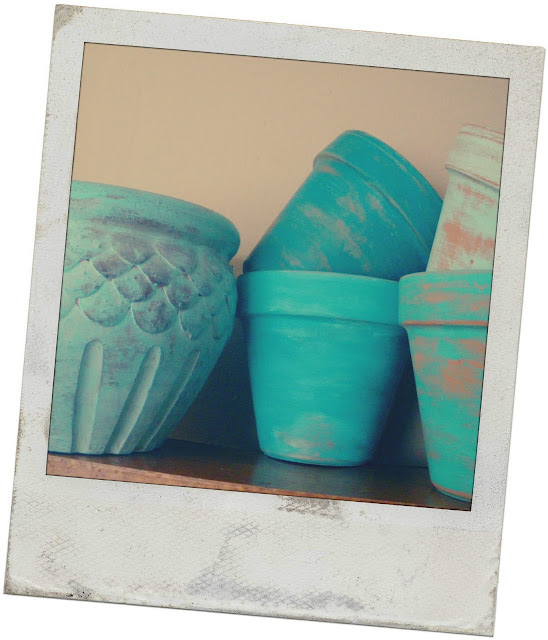 Creating vignettes is not my strong point, I just don't have the patience to arrange like-items with random items to create an eye-pleasing arrangement. I do enjoy vignettes others make. 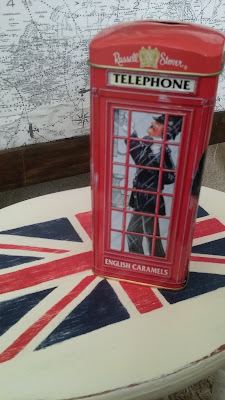 Isn't this phone booth piggy bank adorable? 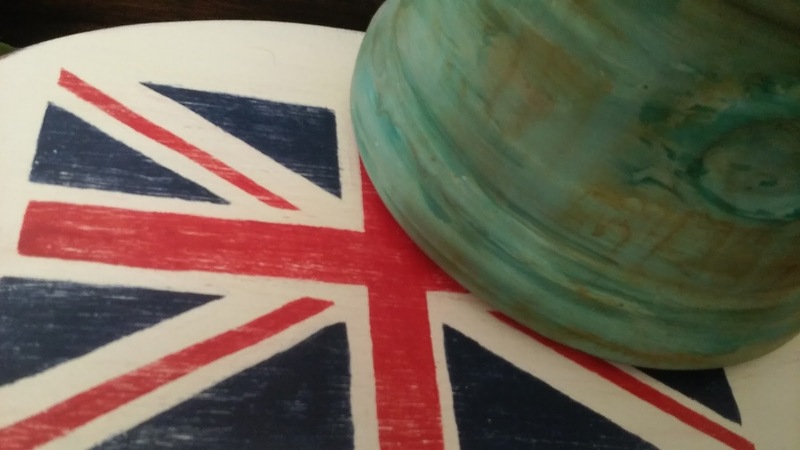 ...with a smaller pot or two to let the design show through. 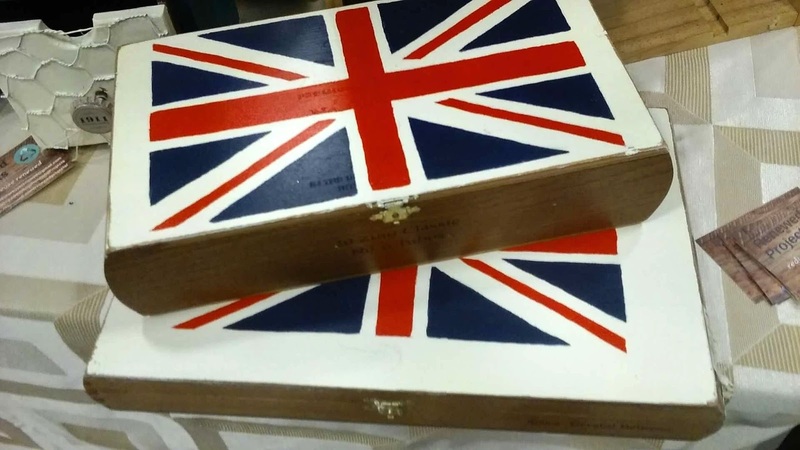 These wooden cigar boxes also received a Union Jack makeover, but more on those at a later date. Hopefully, I'll have more soon to show you! Good idea to make stencils Audra - for your Union Jack. 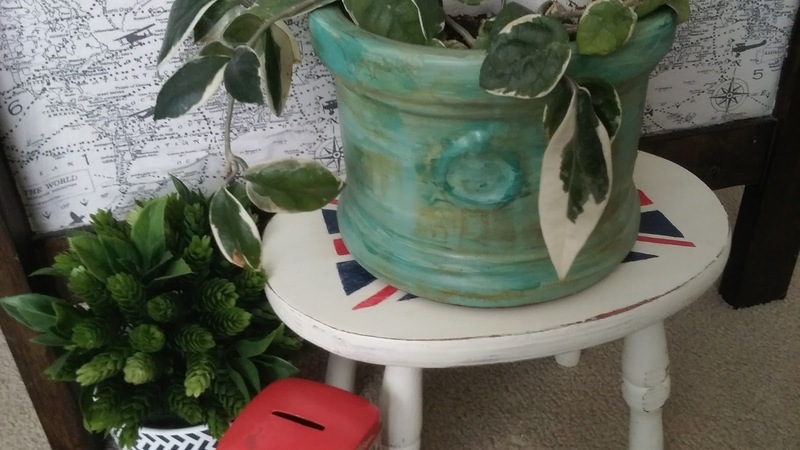 Short stools are great for displaying/raising a plant. 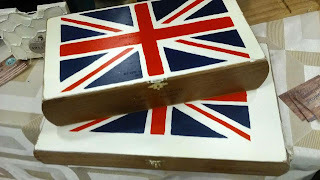 Looking forward to see what you are going to share this year with your Union Jack ideas. 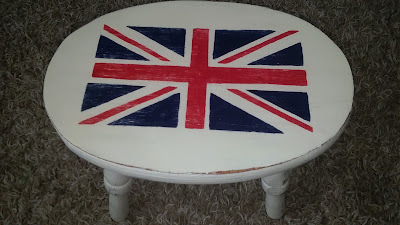 Stencils make everything so much easier! 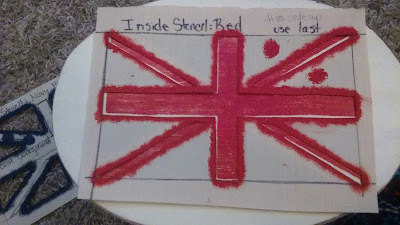 Reading your posts on stencils has helped me use them more efficiently (less paint bleeding under). I love this. I saw it on Facebook before it popped up in my feed and I knew I had to take a longer peek. Fabulous. 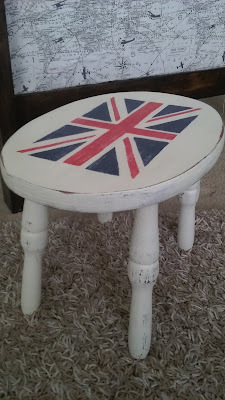 I have a British themed sunroom and LOVE this sweet stepstool. I would LOVE to visit your British themed sunroom! I bet you get so many compliments on it. Thanks for pinning! Union Jack is such a fun design wherever it goes. What a cute idea! 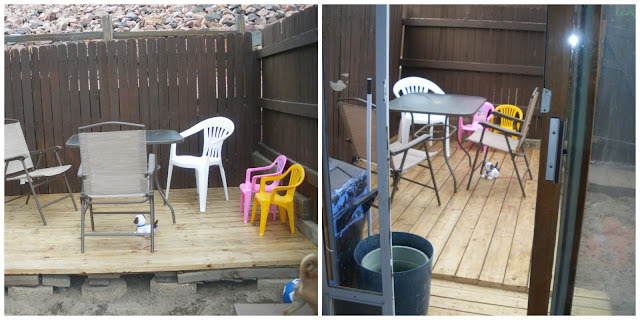 I always love to see makeovers like this! That is such a cute stool. You did a great job on those stencils! Thank you! 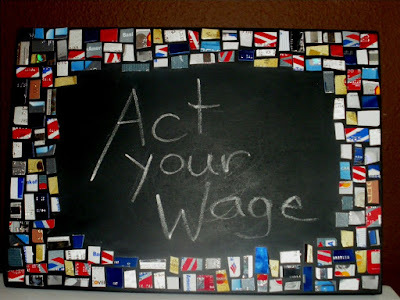 I'm a fan of easy and stencils help accomplish that.